Van Ness Feldman LLP has served Alaska Native and American Indian communities and the businesses they own and operate since the day the firm opened its doors in 1977. Among the firm’s very first clients was a regional Alaska Native Corporation (“ANC”) that today has over $1 billion in gross revenue. From the firm’s inception through the present day, Van Ness Feldman professionals have been at the cutting edge of legislative, regulatory, litigation, and transactional solutions that power economic development for Native peoples. Our lawyers and policy professionals have years of experience and diverse talents to assist Native communities and their businesses, as well as stakeholders and business partners collaborating with them, with the conviction that Nation Building and meaningful economic success requires sophisticated national counsel. Van Ness Feldman’s capabilities are provided from a platform that is fully integrated, rate-sensitive, and culturally aware. Strategic business advice and transactional work. Litigation and alternative dispute resolution in tribal, state, and federal courts. Government relations representation in state legislatures and Congress. Regulatory advice on issues related to energy development, environmental concerns, small business development, Indian affairs, lands issues, government contracting, and banking and financial services. Risk assessment, compliance counseling, and organizational planning for tribal businesses and their enterprise partners. 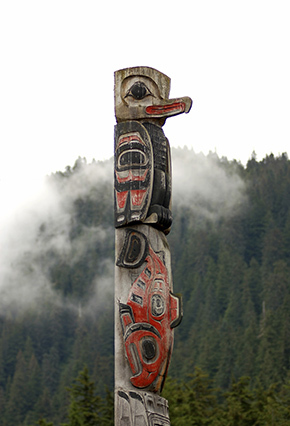 Alaska Native Corporations, tribally-owned businesses, and their enterprise partners. Private companies responsibly doing business in Indian Country. Non-profits and foundations with programmatic interests in Indian Country. Protection of subsistence hunting and fishing rights. Counseling clients on both onshore and offshore oil and gas development issues. Risk management counseling that assists organizations with minimizing potential liability and litigation threats. Navigating indemnification and insurance issues. Advocacy on regulatory efficiency and flexibility issues before agencies, the Office of Management and Budget, and Small Business Regulatory Flexibility Act panels. Counseling tribal governments and corporate clients on environmental regulation of air, water, and climate change. Counsel to the first tribe to acquire a major hydro-electric facility, winning a key arbitration and serving as regulatory and transactional counsel. Washington, DC counsel to several regional Alaska Native Corporations on government relations and regulatory issues. Secured passage of a landmark Native lands bill at the close of the 113th Congress. Advising several private companies on deals worth over $150 million in investments in tribally-owned enterprises. Advising several companies and tribal interests on regulatory, transactional, and litigation issues related to the operation of nonbank financial services companies. Litigation counsel to an Arctic municipality and related corporations on Endangered Species Act issues that are essential to traditional Native lifeways. Washington, DC counsel to several federally recognized Indian tribes in the lower-48 states. Outside counsel to the Alaska Federation of Natives. Pipeline safety counsel to one of the only tribally-owned pipelines in the country. National counsel to tribal employment rights group. Outside counsel on risk management and corporate issues to a nationally recognized natural foods company that is Indian-owned and located on tribal lands. Outside counsel to leading economic development non-profit in Indian Country.